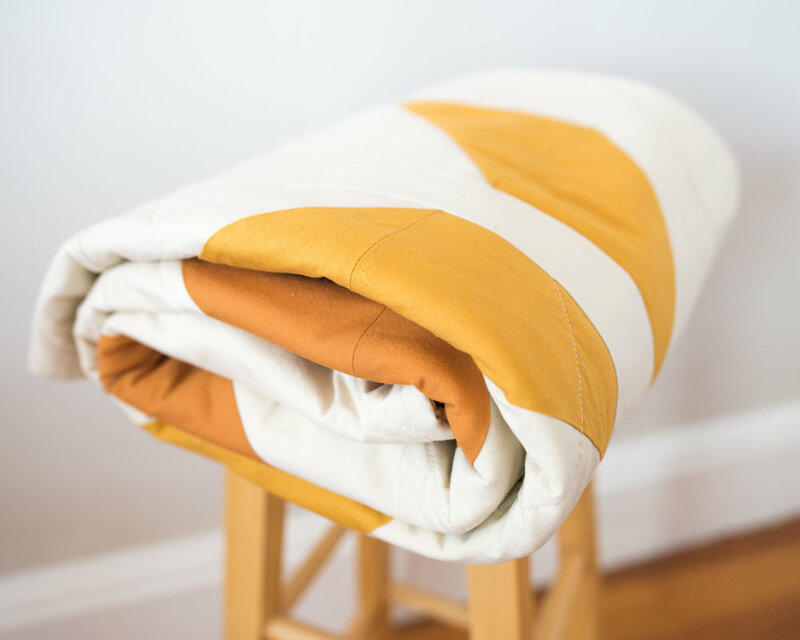 Throw size 60"x60" with 100% cotton top, binding and batting and linen/cotton blend back. Machine quilted, hand bound. Hand made in Somerville, MA.